Really valuable. I am very happy, it covered everything I needed to know. Toby was great. Very valuable. I came in with only a very basic knowledge of filming and no editing experience. I now feel confident in putting a video together. Thank you! This is a well delivered course, useful tips and feedback throughout. Good selection of equipment available to allow for experimentation. I feel totally empowered to go and make great films. Absolutely great, fun, learning, inspiration – what’s not to like? Thanks to the team at Smartphone Shooter for two really excellent and stimulating sessions. The training was exactly what we were after. Everyone who took part found it extremely helpful. Extremely valuable. I feel much more confident to go and film. Thank you Toby! You’re a great teacher. This was the most valuable two days of hands-on training I’ve done. If we even produce one film in-house that would have been done externally, we will have saved money. Very valuable, learned a lot about filming, lighting and editing…Toby was very helpful and patient. He made the two day experience very enjoyable. The Broadcast Journalism Council accredits the leading higher eduction courses in the field. Smartphone Shooter founder Toby Sadler was invited as a guest speaker to talk to the heads of these courses at the BJTC’s annual conference. This was an expert view on which broadcasters are embracing mobile journalism and how that is shaping the industry. 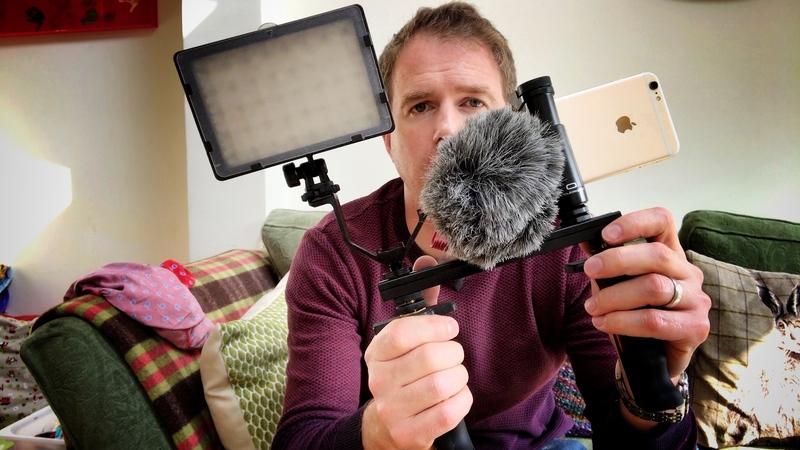 Smartphone Shooter founder Toby Sadler was invited to be a guest lecturer to the post graduate Broadcast Journalism Students at City University in London. This is one of the best courses of its type in the country. The lectures focused on emerging trends in mobile journalism as well as practical training in smartphone filmmaking. NIG is the commercial insurance arm of the Direct Line Group. Smartphone Shooter taught a two day Android based shoot / edit course so the team there could make engaging video for both internal and external audiences. Smartphone Shooter trained Euronews NBC journalists to shoot and edit broadcast quality video on their smartphones. Sessions were carried out both in London and Brussels. The station was relaunching and made a commitment to using iPhones as their primary newsgathering camera where possible. This meant shooting for both recorded and live reports.